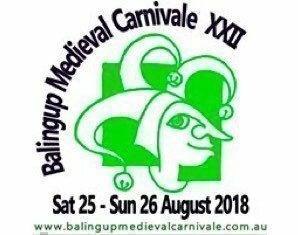 Start your Carnivale weekend off with flair and join the High Court of Balingup in grand merriment, an evening not to be missed! In keeping with tradition the High Feast will be held on the Friday night (24th August) in the great hall and include a magnificent display of culinary delight, story tellers, acrobats, musicians and more! For your coin you will be delighted with a meal of medieval proportion and a night of spellbinding entertainment in the company of the Royal couple and representatives of the High Council (BMC Committee). This event is strictly NO BYO as we are very fortunate to welcome the return of the team from Cocktail Gastronomy who will provide a pop-up cash bar stocked with a selection of local wines, ales, meads and delights to refresh your palette and encourage your merriment throughout the night. Please bring cash as eftpos facilities are not available in our lovely old town hall. Please be advised: As is also tradition the serving staff are volunteers who donate their wages to local community fundraising efforts and ticket sales are calculated to cover costs of this fully volunteer run, community event (not to make profit) so no discounts or concessions are available. Whilst you are welcome to purchase tickets for your children this event is designed for adults.